Perfection is a universal objective. Read the following famous perfect quotes, quotations and sayings on flawlessness to know what we mean. Being a perfectionist is both a boon and a bane. The work which is done meticulously is admirable and complimented by one and all. But taking care of minute details is quite a tedious task. Hours of tiring effort need to be invested in order to achieve a flawless and faultless product. Perfectionists are termed obsessive, psychotic, fanatic or even plain weird by the ignorant majority. It is only later that the crowd in general really understands the beauty and the exquisiteness of the creation. Read the famous flawlessness quotations and sayings to know more. 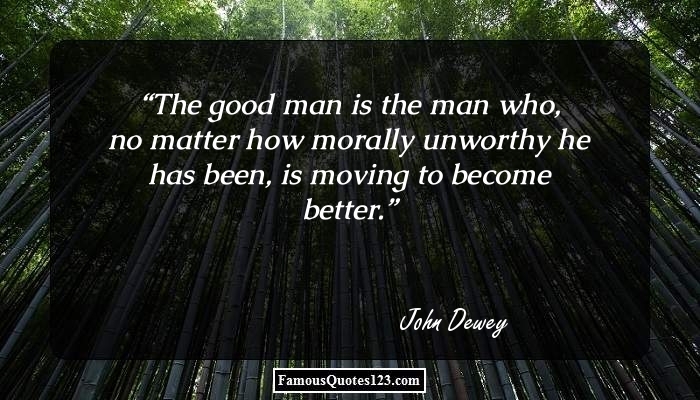 The good man is the man who, no matter how morally unworthy he has been, is moving to become better. 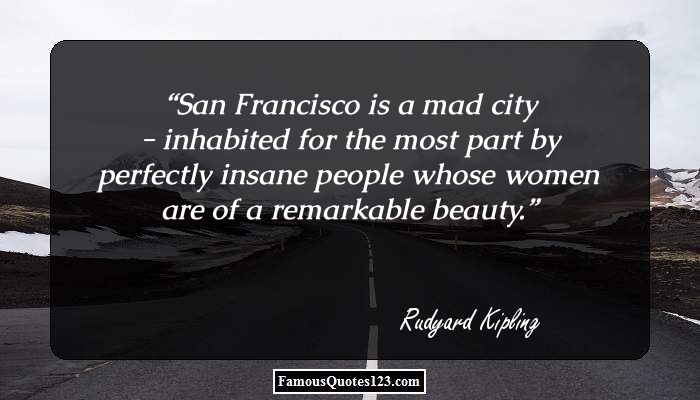 San Francisco is a mad city - inhabited for the most part by perfectly insane people whose women are of a remarkable beauty. And there is no trade or employment but the young man following it may become a hero. A building has integrity just like a man. And just as seldom. 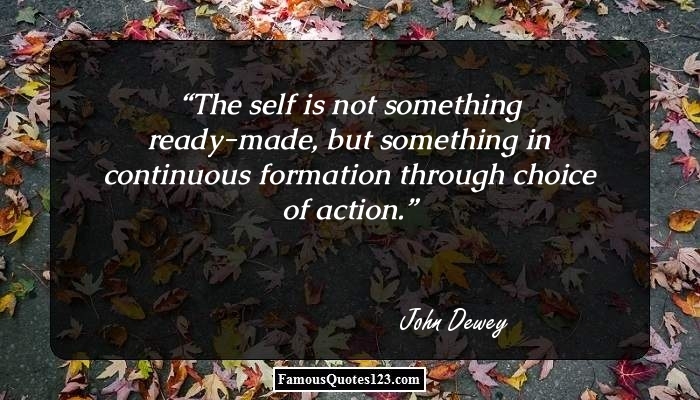 A desire presupposes the possibility of action to achieve it; action presupposes a goal which is worth achieving. A minute of perfection was worth the effort. A moment was the most you could ever expect from perfection. I have had a perfectly wonderful evening, but this wasn't it. It isn't enough to talk about peace. One must believe in it. And it isn't enough to believe in it. One must work at it. I paint self-portraits because I am so often alone, because I am the person I know best. What you see is kinda what you get with me. I'm a very real person, or I hope to be, anyway. I don't have nothing to hide. I am incredibly happy. I may well be the luckiest man alive. To be so in love with someone who is so perfect for me. It's just hard to imagine that I'm not going to wake up. It is not our purpose to become each other; it is to recognize each other, to learn to see the other and honor him for what he is. Arriving at one goal is the starting point to another. Be less curious about people and more curious about ideas. You must learn to be still in the midst of activity and to be vibrantly alive in repose. To achieve the impossible; it is precisely the unthinkable that must be thought. To feel much for others and little for ourselves; to restrain our selfishness and exercise our benevolent affections, constitute the perfection of human nature. There is no passion to be found playing small - in settling for a life that is less than the one you are capable of living. All of us failed to match our dreams of perfection. So I rate us on the basis of our splendid failure to do the impossible. The day you take complete responsibility for yourself, the day you stop making any excuses, that's the day you start to the top. A man's felicity consists not in the outward and visible blessing of fortune, but in the inward and unseen perfections and riches of the mind. Things are never so bad they can't be made worse. I've been around a long time. Maybe the people like me. Small minds are concerned with the extraordinary, great minds with the ordinary.